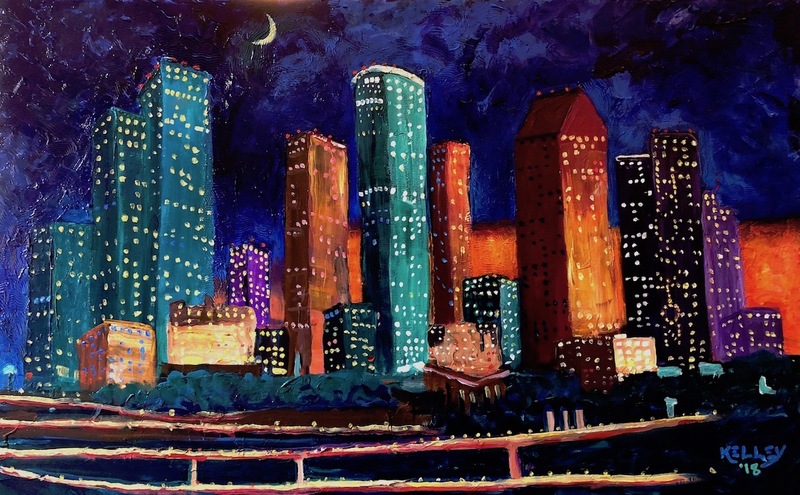 Houston is one of the most powerful cities in America. Its location near the Gulf of Mexico and huge ports combine with oil, space aeronautics, transportation, energy, research and medical care to make it an important hub. Of course the colors of my paintings do not reflect reality. But I think they are really fun and interesting. Details:Acrylic on Stretched canvas. 60 x 80 cm: 24 x 32 inches.Price:Sold. In a private collection in Houston, Texas.